Following up on Michael McCann's post from Monday, talk of a potential decertification of the National Hockey League Players' Association (NHLPA) heated up this week. After the NHL owners rejected a new union proposal on Wednesday, the players have increasingly appeared willing to dissolve their union in order to pursue antitrust litigation against the league (see this report by James Mirtle). In fact, on Thursday, Buffalo Sabres goalie Ryan Miller publicly endorsed the decertification strategy, in the process calling out the NHL's outside legal counsel, the Proskauer Rose firm, by name. Let’s start with the basics. Why might decertification make sense for NHL players here? A. There’s kind of a benefit and a drawback. There are some protections you get under labour law when you’re in a bargaining situation like this. By having a union, the players under U.S. labour law get protection against the owners committing certain unfair labour practices. So they get some benefits out of the unionization, but the downside is you can’t then file an antitrust lawsuit against the ownership while you’re still engaged in that collective bargaining relationship. The trade off is do we want to have union protections or would we rather dissolve the union and pursue antitrust remedies. You can’t have your cake and eat it, too. You have to pick. From the perspective of why is it a good thing to do now: The main benefit is probably leverage... If we file an antitrust lawsuit, it adds uncertainty for the owners. If this lockout gets declared to be a violation of U.S. antitrust law then the players’ damages are going to be tripled. I thought I saw one estimate that the players were losing something like $10-million per day. If you use that as a ballpark, if they’ve missed 70 days, you’re talking about $700-million times three; that’s a huge number potentially. There’s leverage for the players. The No. 1 thing they would shoot for presumably would be to end the lockout [using a preliminary injunction]. Even if they don’t get that, long term, they still have that threat of the antitrust legislation and the triple damages hanging over ownership. Yesterday Marc Edelman blogged about NBA.com and Yahoo! Sports working together on offering NBA fans fantasy sports. After talking with the NBA today, I wanted to provide some additional information. The NBA made clear to me that it is not associated with Yahoo! Sports pro leagues (which are fee-based) and it does not receive any shared revenue from those leagues. The NBA’s involvement with Yahoo! Sports is limited to free fantasy sports. Extraordinarily interesting news out of England and the Premier League last month: Several members of the Newcastle United Football club may refuse to wear the corporate logo of Wonga, a short-term, pay day loan company, on their game jerseys because Wonga's company practices are an affront to their religious beliefs. 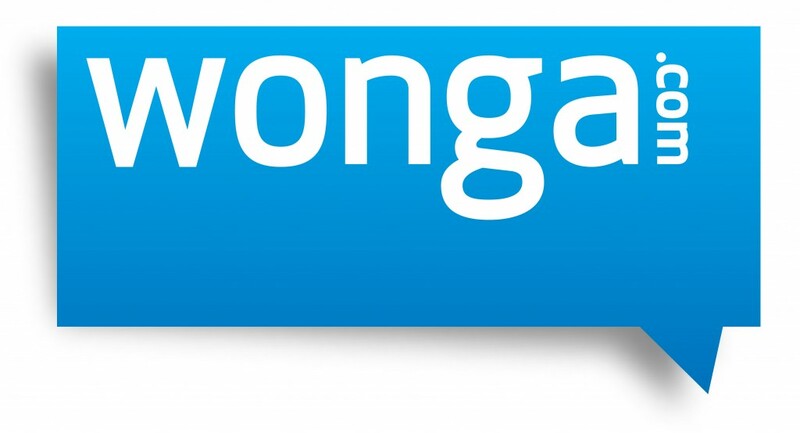 Newcastle United recently announced a very lucrative corporate sponsorship agreement with Wonga. Newcastle footballers Demba Ba, Papiss Cisse, Cheick Tiote and Hatem Ben Arfa are all practicing Muslims. "Under Sharia law, Muslims must not benefit from either lending money or receiving money from another person - meaning that interest is prohibited. Interest is not paid on Islamic bank accounts or added to mortgages." Because Wonga is seen by many in the UK, much like pay day loan companies in the United States, as established to prey on the poor and the unbanked, Ba, Cisse, Tiote and Ben Arfa may refuse to promote its practices by refusing to display the Wonga logo on their jerseys. From the story in the Daily Mail: "Shaykh Ibrahim Mogra, assistant secretary general of the Muslim Council of Britain, told The Independent: 'There are two aspects to this. We have the rulings of the religious law and we have the individual’s choice and decision on how they want to follow or not follow that rule. 'The idea is to protect the vulnerable and the needy from exploitation by the rich and powerful.' 'When they [Wonga] are lending and are charging large amounts of interest, it means the poor will have short-term benefit from the loan but long-term difficulty in paying it back because the rate of interest is not something they can keep up with. The Islamic system is based on a non-interest-based system of transaction.'" In fact, on some short-term loans, Wonga charges an interest rate that would annually exceed 4,000%. "Should a Newcastle fan accept a loan to buy a £50 club shirt, they would have to repay £71.92 after a month with a rate equivalent to 4,212 per cent per year." 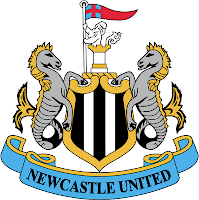 Local politicians in Newcastle were aghast to learn that Newcastle United had partnered with a corporate sponsor such as Wonga: "Nick Forbes, the leader of Newcastle City Council, said: 'I’m appalled and sickened that they would sign a deal with a legal loan shark. It’s a sad indictment of the profit-at-any-price culture at Newcastle United. We are fighting hard to tackle legal and illegal loan sharking and having a company like this right across the city on every football shirt that’s sold undermines all our work.'" Boycotting a corporate sponsor would be deemed a hugely controversial move in the United States. In fact, the activist athlete has been discussed on the Sports Law Blog many times over the years, and has seemed to be in decline since the advent of the corporate endorsement and the potential to profit in the dozens of millions of dollars. That said, there appears to have been a rise in athlete activism in recent months . . . . This year we have blogged extensively on emerging legal issues in fantasy sports (see here, here, here), as well as ongoing issues involving online sports gaming (see here and here). Now, the National Basketball Association has kicked off its 2012-13 season with another game-changer that may drastically change the future of both professional sports and fantasy sports -- a joint venture project with Yahoo! to provide play-for-cash fantasy basketball contests. Not only are NBA logos used in conjunction with this play-for-cash fantasy game, but a link to the game, labeled NBA.com / Yahoo ! Sports Fantasy Basketball, appears directly on the NBA.com webpage. The NBA.com / Yahoo! leagues operate at two price points. $100 entry fee leagues pay out a first-place prize of $600. Meanwhile, $20 entry fee leagues pay out a first place prize of $120. What is unclear from the game's rules, however, is whether Yahoo! is simply paying the NBA a fixed amount for the endorsement and promotion of the game, or whether the NBA teams will be paid a share of the revenues (i.e. "rake") derived from operating the game. Also unclear is whether Yahoo! has fully indemnified the NBA for any liability that could stem from operating this game, especially given that the Yahoo! Sports Terms of Service does not necessarily exclude every state with some risk for running a fantasy sports contest --even though Yahoo! Sports is indeed more risk adverse than CBS Sports. (For further discussion of that point, see here). Finally, the NBA's current position in endorsing play-for-cash fantasy basketball leagues helps to clarify the league's stance on what forms of sports gaming it deems acceptable. Although the NBA continues to publicly support the Professional and Amateur Sports Protection Act of 1992 and its ban on most forms of sports betting, the NBA clearly now supports pay-to-enter fantasy leagues -- at least of the seasonal duration variety. Of course, from the standpoint of the NBA team owners, with fantasy sports looking like far more than just a fad, it is in their interest to share in the profits of America's new national pastime, rather than foregoing an increasingly lucrative revenue stream. (For more on legal issues in fantasy sports, please see my Harvard law journal article, A Short Treatise on Fantasy Sports and the Law). 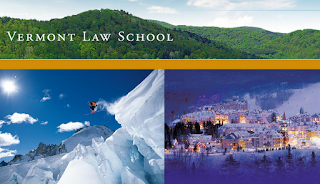 We are thrilled to announce that NHL executives Brian Burke and Mike Milbury have joined our Vermont Law School Sports Law Institute as members of the Board of Advisors. As I'll detail later this week, we are close to finalizing plans for Milbury to speak at Vermont Law School on Tuesday, November 27 at 2 pm on the NHL Lockout and where things go from here. Brian Burke is an American-Canadian ice hockey executive who is currently the President and General Manager of the Toronto Maple Leafs. Burke has also served as General Manager of the Anaheim Ducks—leading the club to its first Stanley Cup championship—as well as the Vancouver Canucks and Hartford Whalers. Burke previously worked in the NHL front office as Executive Vice President and Director of Hockey Operations, spent six years as a player agent, and played professional hockey for the Marine Mariners of the American Hockey League. He received the 2008 Lester Patrick Award for his outstanding service to hockey in the United States. 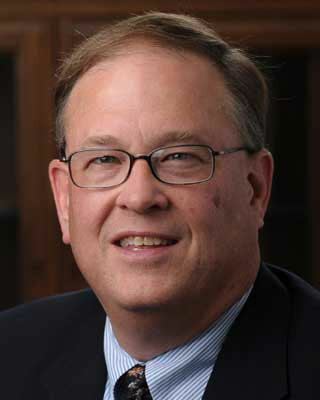 Burke is a graduate of Providence College and Harvard Law School. 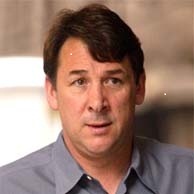 Mike Milbury is an American sportscaster currently working as an ice hockey analyst for the NHL on NBC and Comcast Sports New England. He has also presented on ESPN, Versus, and CBC’s Hockey Night in Canada. Milbury played twelve seasons in the National Hockey League as a defenseman for the Boston Bruins. He coached the Bruins to the Stanley Cup Finals and the President’s Trophy for the best record in the league. Milbury spent 11 seasons with the New York Islanders, where he worked as the team’s General Manager, Head Coach, and Senior Vice President. He is an inductee of the United States Hockey Hall of Fame, and holds a degree from Colgate University. 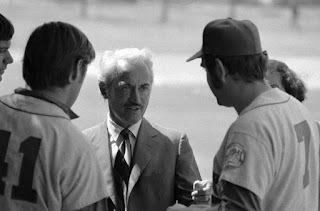 I have stayed silent on the recent Marlins debacle even if it is happening in my backyard (and on my tax dollars), mainly because I already knew the stadium was a bad deal and that the Marlins are competing for the title of worst organization in all of sports by hitting the trifecta of incompetence, arrogance, and contempt. But, via TaxProf's Paul Caron, here is a different legal take on the trade from the Wall Street Journal: the tax hit that the five traded players are going to take by leaving Florida (which has no state income tax) and going to Ontario (which just enacted a tax increase on high-earners). The author estimates the five players will lose about $ 8.4 million in lost income, based on certain assumptions and offset by certain tax benefits (they actually earn a foreign tax credit on their U.S. returns). NHL Lockout: Will players decertify and sue? If so, when? In recent weeks we've had several excellent posts on the NHL labor situation, which has cost 327 games through November 30 plus the Winter Classic. A notable piece of news in Larry Brooks' New York Post Sunday column has NHL players opposed to the idea of decertifying (and also, presumably, disclaiming interest) in the NHLPA -- at least for now. According to Brooks, players want to continue negotiations with the league. Although the two sides appear to be within striking distance of agreement on two important issues -- division of hockey-related revenue and sharing of revenue -- additional issues, including contract rights and restrictions, have proven more difficult to resolve. The two sides also appear to mistrust each other at higher levels than found among league and players' officials in the NFL and NBA lockouts. Lack of trust means they are less willing to agree on the parameters of provisions and work out the details later (as we saw happen with B-list issues in the other two lockouts, with the NFL and NFLPA agreeing to the concept but not implementation of HGH testing, and the NBA and NBPA agreeing to the same and also to revisit the age limit). ....if the NHL locks out its players later this year if the NHLPA decertifies — which means that each player becomes independent and can file litigation in a court nearby where he plays — expect the players to file antitrust litigation in a federal court in California or Arizona. Both states have NHL teams, meaning the league has sufficient nexus to each state to defend itself in court. More importantly, both states are governed by the U.S. Court of Appeals for the Ninth Circuit, which is regarded as more pro-labor than other federal circuits and which may embrace a view of the Norris-LaGuardia Act favorable to players. 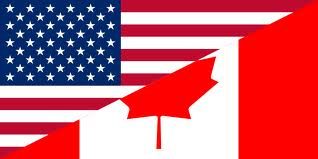 It is also possible NHL players could file litigation in Canada, which features stronger labor laws. The NHL, for its part, would probably seek to move any litigation to New York, where league headquarters are based and where case law from the U.S. Court of Appeals for the Second Circuit is favorable to its interests. The league might instead seek to defend itself .... in the Eighth Circuit, which ruled in favor of the NFL. As we saw in the other two lockouts, there is a less obvious benefit to antitrust litigation: new voices (namely attorneys, like David Boies) join discussions on settling issues of division, and that can play an important role. Hopefully the NHL and NHLPA strike a deal in the next week or so to save a season. But if the lockout continues into December and if the NHL cancels the season, players may have to revisit their strategy and the possibility of antitrust litigation. Can we talk about hockey again? I wrote about the dysfunctional family that is the NHL several weeks back, stunned that another season would be truncated or even lost by millionaire players squabbling with billionaire owners. You remember hockey, America’s fourth major sport. But since the election when pot and gay marriage both won in the polls, aren’t we now, as Bill Maher says, “Canada with Nukes”? If so, hockey should be our passion and somehow we grownups should be able to stop these spoiled brats from destroying themselves. That’s particularly true for those of us in Philadelphia, where the Phillies finished a disappointing season, and the Eagles and Sixers are pathetic. We need the Flyboys back on the ice contending for Lord Stanley’s vaunted cup. The hope is that Flyers owner Ed Snider, who also is one of the principals in mega media giant Comcast, will abandon his support of NHL Commissioner Bettman and force an end to the lockout. The Flyers, valued by Forbes at just under $300 million, are one of the most well run and most valuable franchises in all of sports. They have a passionate fan base and, in turn, seem the most civic minded and media savvy of Philly’s four sports teams. It doesn’t take an economics genius to know what’s wrong with the NHL; it has too many failing teams and it’s easy to figure out who they are and what must happen to them. The ten most valuable teams, other than Philadelphia, are Boston, Chicago, Detroit, Montreal, New York and Toronto: the original six NHL franchises. Pittsburgh and Los Angeles, who along with the Flyers were in the first wave of expansion in the NHL, are also valuable and successful franchises. Who are among the least valuable? The Tampa Bay Lightning, Carolina Hurricanes, Nashville Predators, Florida Panthers, Columbus Blue Jackets and Phoenix Coyotes. Really, how many of you actually knew these were all professional sports teams? Failing businesses should be allowed to fail without dragging down the successful teams and high jacking the sport. The NHL is the best argument against the position of the NFL in Clarett and American Needlethat sports leagues are single enterprises. Each team is a creature of its own making and, unfortunately, its own demise. I have written recently about baseball's Infield Fly Rule, including a general defense of, and rationale for, the rule itself. I plan to come back to it more fully in the spring, after I get through some current and future projects. I want to write a fuller piece on the cost/benefit analysis underlying the IFR and why that cost/benefit balancing both justifies IFR and why, given that balance of costs and benefits, the infield fly situation is unique not only in baseball but in all sports. There simply is no other situation like it. The players on both teams know the game is over and that the kneeldown is coming and the defense won't do anything to challenge the play (although the play is alive and the defense could contest it, even if the practice is frowned upon). The defense's only hope in this situation is to somehow get a turnover; taking a knee is designed to avoid that risk by only snapping the ball to the quarterback and not having a handoff or other exchange that may go wrong. Taking a knee shares all four features of the infield fly: 1) the offensive team is not trying do what we ordinarily expect--move the football forward--and is intentionally losing a couple of yards in exchange for running out the clock and avoiding the risk of a turnover; 2) the offensive team gains a substantial benefit (time runs off the clock, no turnover), imposes a substantial cost on the defensive team (time running out, no opportunity to make a play), and offers no benefit at all to the defensive team; 3) the offensive team entirely controls the situation; and 4) the defensive team can do nothing to stop the kneeldown and the running of the clock (it could try to be aggressive on the snap and force a turnover, but, again, that is frowned upon). 1) Eliminate the Infield Fly Rule. If the situation is not unique and if there are similar situations that do not enjoy a special rule, maybe (as a number of readers have argued to me) that special rule is unwarranted here. I like the IFR, so this is the least acceptable option for me. 2) Outlaw taking a knee. My colleague Alex Pearl suggests a requirement that a team at least make an effort to move the ball forward, even if just by a quarterback sneak; by keeping the play truly live, it gives the defense a chance to force a turnover or otherwise make a play. The problem is that this adds more plays in which players are going to be hitting one another; given the genuine need to do something concussions and other injuries, the sport should not be looking for more hitting. Plus, such a rule requires a tricky determination of intent--how hard does the team have to try to move forward, since lots of plays go nowhere. 3) Recognize the effect of the clock in a timed sport such as football, as opposed to baseball. Football is not all or always about gaining the maximum yardage; in many situations a team runs plays that are likely to gain less yardage, but with the benefit of winding down the clock and bringing them closer to the end of the game and the win. In taking a knee, the offensive teams loses yards but gains in time. In other words, we're tweaking how we understand what a team ordinarily is expected to do on a play; it is not only about gaining yardage, but also about managing the clock. The response is that running a play still is different than taking a knee because of prong 4--the ability of the defense to oppose the kneeldown. So running out the clock by simply handing the ball off and running into the line is OK because teams are still running true plays, trying to gain yardage, and the defense has a real chance to force a mistake. But simply taking a knee is different. 4) Adjust my four features to add a fifth--the game must still be genuinely contested. A team takes a knee only when the outcome is, at least as a practical matter, no longer in dispute. Proving Extraordinary Ability for Athlete Seeking Work Visa to U.S.
...[A]n immigration case involving an Iranian table tennis player has raised question about exactly what status an international athlete must achieve before being granted preferential entry into the United States. Is it enough to be the best in your own home country? Or must you also be among the best in the world? On Wednesday, a Federal District Court judge in New York affirmed a decision by United States Citizenship and Immigration Services to deny an “extraordinary ability” work visa to Afshin Noroozi, 27, the first table tennis Olympian from Iran. Noroozi had sought the visa on the ground that he was a top international player, having finished 65th at the 2008 Olympics and gained a ranking of 284th in the world. The absence of Noroozi as a player is unlikely to make any difference in American fortunes, officials said. An athlete who is ranked only 284th in the world at age 27 is “not likely to see a huge surge in the next five years,” said Sean O’Neill, a spokesman for USA Table Tennis and a former Olympian. Though it makes perfect sense, it's interesting how player development analysis can impact whether one gets a visa. Earlier today, Warren Zola posted an excellent blog entry about how Miami Marlins owner Jeffrey Loria has attempted to trade five of the team's highest paid players to the Toronto Blue Jays, and why Commissioner Selig should possibly get involved to stop this. As he astutely pointed out, the trade is in many ways more troublesome by the fact it comes just one year after the Marlins opened a new, publicly funded stadium. I have repeatedly criticized Miami Dade County for handing the Marlins ownership $357 Million in taxpayer money without any strings attached (my 2008 law review article on the issue is here). The thrust of my argument was that the $357 Million subsidy provided "more pork to the fattest pig in town," and that team-owner Jeffrey Loria's promise to begin investing in players upon receiving the stadium would be short-lived. Unfortunately, these fears have proved accurate. The Marlins have once again traded away their players and have left the city with one of the lowest payrolls in baseball -- even after receiving huge public subsidies. Most likely, ownership will next seek to sell the team at a huge profit -- not because Marlins brand equity has increased, but because the owners now control a highly lucrative public asset in their publicly-funded stadium. It is not difficult to understand why some residents of Miami-Dade County may have wanted a new stadium for their baseball team. The old one was past its prime. However, a more sensible approach, if feasible, would have been for the city to have bought the team (this would have likely cost no more than $500-600 Million), rather than purchased an asset for Mr. Loria at nearly this cost and simply handed it over to an owner as a 'gift'. In the traditional business setting, when investors put money into a business they demand both a share of the business's profits and some level of control. Astoundingly, Miami-Dade County neither asked nor received either. The result: clearly bad for both fans and taxpayers. Moreover, the Marlins mess is not only bad for baseball fans and taxpayers. In the long run, it may also hurt the lobbying efforts of Major League baseball's other 29 teams. 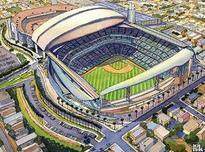 While many municipalities have historically provided public subsidies to their baseball teams, the mockery that Jeffrey Loria has now made out of sports stadium subsidies may finally be enough to make some communities skeptical of theses giving gifts, without strings, to team owners. In other words, if there is ever going to be a counter-movement against sports stadium subsidies, the Marlins stadium deal currently stands as a bold, Exhibit A.